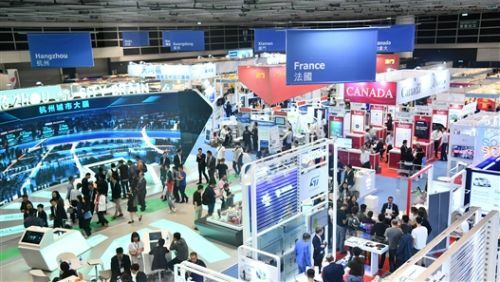 HONG KONG, Apr 16, 2019 - (ACN Newswire) - Organised by the Hong Kong Trade Development Council (HKTDC), the 16th HKTDC Hong Kong Electronics Fair (Spring Edition) and HKTDC International ICT Expo both drew to a successful conclusion today (16 April). The two fairs welcomed more than 100,000 buyers from 153 countries and regions, up 3.6% year on year. There was a significant increase in the number of buyers from several markets, including Mainland China, Macau, Japan, Korea, Thailand, South Africa, Brazil, the Netherlands, the Czech Republic, Russia and the United Kingdom. The Spring Electronics Fair received a total of over 67,000 buyers, while the ICT Expo saw over 34,000 buyers in attendance. Benjamin Chau, HKTDC Deputy Executive Director, said: "In the digital era, innovation and technology have become mega trends and smart cities are beginning to change the way people live, work and play. To meet the demand from buyers globally, this year's ICT Expo and Spring Electronics Fair put the spotlight on smart city solutions and cutting-edge electronic products. Sourcing and business discussions were brisk throughout both events." Marie-Helene Prevot, Vice President, Foreign Trade Advisors of France, Hong Kong Committee, said: "Hong Kong is a nice platform for companies to expand their presence in Asia and go into the Mainland Chinese market. We are keen to explore the opportunities presented by the Guangdong-Hong Kong-Macao Greater Bay Area through this expo. The pavilion is a good showcase of how French companies integrate innovative solutions into business operations, and the expo is a great event for us to meet with all sorts of professionals behind the smart ideas." Tuya participated in the fair again to showcase smart home appliances and AI solutions. Alex Yang, Co-founder & COO, Tuya Global Inc, said: "We have met with new buyers from many countries and regions covering Australia, the Americas, the Middle East and Asia. Many of them have expressed their intention in cooperating with us. The establishment of the Guangdong-Hong Kong-Macao Greater Bay Area helps encourage the flow of information and resources and enhances the efficiency of overall development. Riding on Hong Kong's role as an international financial centre, it will accelerate the commercialisation of AI and consumer-related IoT [Internet of Things] applications." Buyer activity was brisk at both events. Kim Eui Geun, Manager/Equipment & Raw Material Purchasing Team at Korea's Hyundai Mobis Co Ltd, was joining the Spring Electronics Fair for the first time. He said he found several potential suppliers of car electronics products such as air purifiers, wireless chargers, smartphone chargers, and smart watches with GPS and car key functions. If the suppliers were suitable, he said he would likely buy 50,000 pieces per item every year. The 16th HKTDC Hong Kong Electronics Fair (Spring Edition) and the HKTDC International ICT Expo came to a successful close today (16 April). The two fairs, organised by the Hong Kong Trade Development Council (HKTDC), welcomed more than 100,000 global buyers, up 3.6% year on year. This year's ICT Expo featured more than 610 exhibitors from 14 countries and regions showcasing cutting-edge solutions. They included Cyberport, Airport Authority Hong Kong, Microsoft, NEC, Hong Kong Science and Technology Parks Corporation, SenseTime, the Smart City Consortium and Xiao-i. 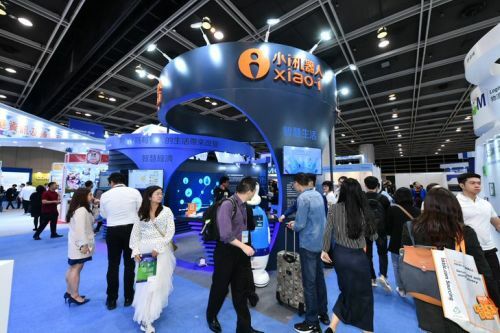 The Spring Electronics Fair's Tech Hall featured five thematic zones, including the AI & Voice Recognition zone and the Robotics & Unmanned Tech zone. 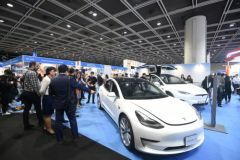 Tesla presented its latest electric vehicle Model 3, while Alibaba.com also debuted a pavilion using an online-to-offline format.